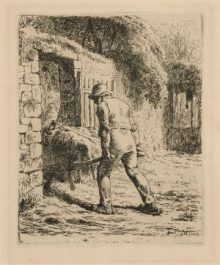 Sloan produced illustrations for magazine stories, newspaper picture puzzles and an early strip cartoon, ‘Paul Pallette, the Practical Paintist’ (1905-6) for the Philadelphia Press. The narrative movement of cartoons from panel to panel offers one way of reading the New York City Life etchings. 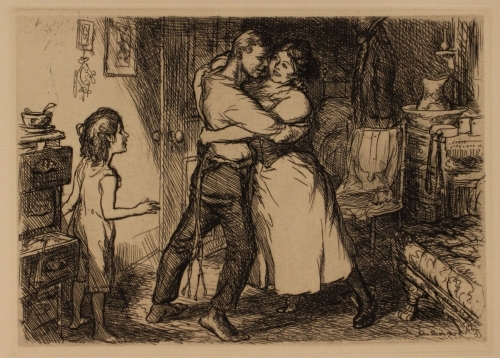 Without depicting the exact same woman, three of the prints suggest a housewife’s daily round from passing the afternoon with the newspaper to dancing with her husband on his return from work to turning out the light.